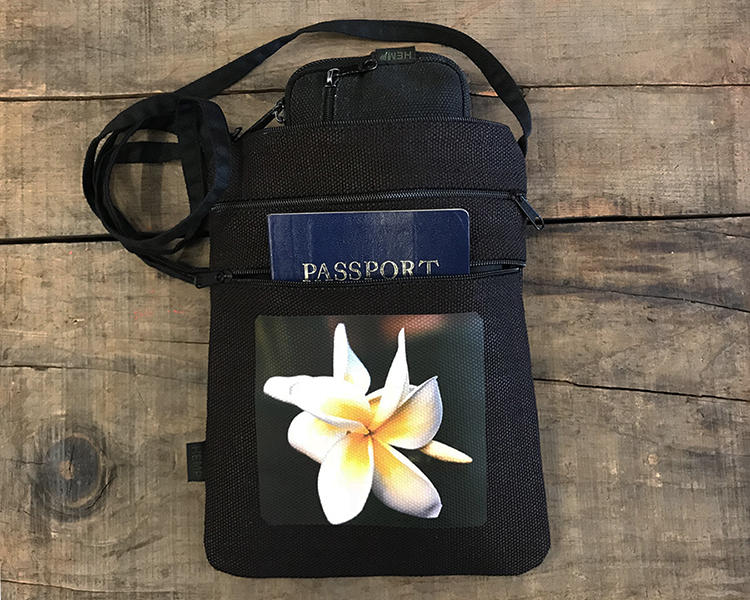 The hemp 3 zip bag/purse will hold a passport and is large enough for a smart phone, as well as all of your essentials in three separate zip compartments. The exterior size is 6"x8" and a 48" flat strap. It's the perfect bag for travel or everyday!